The country with the highest number of blacks seems to be poverty striken day in and out with little chance of change. 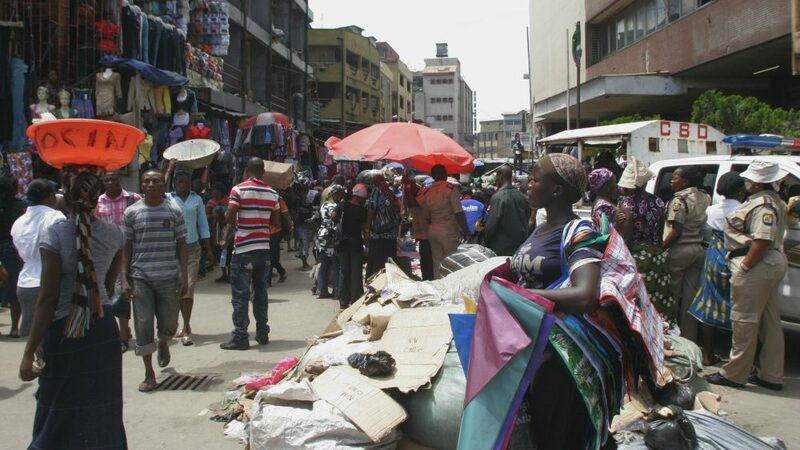 Nigeria, according to the Nigeria economic report released in July 2014 by the World Bank has one of the world's highest economic growth rates at 7.4% but poverty still leads significantly at 33.1%. The country just made an unwanted title for it'self - The world's poverty capital early this 2018. This unique title was given by brooking institute in it's report. The report had it that Nigeria overtook India to this title. The world learnt through the report that Nigerians in extreme poverty increases by six people every minute. The projection is that with India's population of 1.3 billion people and 73 million in poverty as against Nigeria’s 200 million with 87 million in poverty, Nigeria has already overtaken India as the country with the largest number of extreme poor. The Democratic Republic of the Congo is also tipped to grap the 2nd spot from India soon. “At the end of May 2018, our trajectories suggest that Nigeria had about 87 million people in extreme poverty, compared with India’s 73 million. What is more, extreme poverty in Nigeria is growing by six people every minute, while poverty in India continues to fall. The verdict on Nigeria is an affirmation to what many had predicted. Emir of Kano, Sanusi Lamido Sanusi II, former Central Bank of Nigeria (CBN) governor stated that the poverty index should not be part of our identity. The looks on the face of Nigerians tell of untold hardship. How the next meal will arrive is gradually becoming an issue to all homes in the oil-rich nation. This facts might appear true but it didn't go well with the government which has expend much to light up a reputable image of the government to the outside world. The Federal Government in totality rejected the report, arguing that it lacked empirical evidence and that the report of such degree should not be based on forecast or mere opinion. Rubbishing the report on behalf of the Government, Dr Yemi Kale, the Statistician General of the Federation said that the National Bureau of Statistics (NBS) was partnering with the World Bank to conduct a living standard survey of which would show the actual poverty situation in Nigeria. “Nigeria via NBS and World Bank are currently doing the living standard survey which is the appropriate methodology for poverty computation. “So the Poverty World is at best nothing more than an opinion/ forecast that may be true or false or worse once the proper poverty study is done. Supporting the government still further, the minister of Budget and National Planning, Udoma Udo Udoma said in a statement that the report cannot be relied on as a representation of recent trends in the country. “National Bureau of Statistics (NBS) remains the statutory agency of government with responsibility for producing Nigeria’s official statistics, including poverty estimates. Like several other countries, Nigeria’s poverty estimates are obtained from the National Living Standard Survey (NLSS) undertaken every five years. Despite the series of denial by the government of the poverty tag, an ordinary Nigerian man without bias can really relate this state the country is into. The number of out-of-school children is on the increase thanks in large part to the failed over-promises of the government. For the unemployed, their tale is even worst. Their labours each day are partially or never rewarded. The employed even with the N18,000 minimum wage face the task of helping their immediate family who look up to them. This sole dependence leaving these class more or less in poverty as well. How can a government who trully loves it's citizen try to to hid this naked fact from the world rather than trying to alleviate it's citizen's suffering? An economist, Mr Odilim Enwegbara in his view said that for Nigeria to get it right, it must drop N1 trillion into the various micro-economies and that the government should pay every unemployed Nigerian N20,000 a month and also ensure that the basic minimum wage is N50,000. He pointed out that India did the same thing and escaped poverty. “The monetary policy is in a mess because there is nobody who is coming up with a monetary policy philosophy that will grow the economy, increase investment and create jobs. “The fiscal policy is in a mess because they brought in a lady who is not even an economist and does not have what it takes to handle a complex and big economy like ours,” “There is a conspiracy against Nigeria by the elite who don’t care what happens to the masses as long as they have their way. They are ready to raise pump price of fuel out of the reach of the poor as long as their wishes are met. China dropped a lot of money in the grassroots economy. If every month Nigerian Government would drop N1trillion on various micro- economies of the country and make sure the money goes to about 50 million Nigerians giving each person N20,000 to buy the basic things of life, the farmers will now find consumers for their products. As they find consumers for their products, the producers will produce more. If you give them N20,000 every month, the basic minimum wage should be N50,000 every month. It will be on condition that young men should get a job within two years or they will be dropped. A don and an economy expert in Bayero University, Kano, Professor Sani Badayi, suggested a sustained effort to encourage foreign investment. The poverty report implies that Nigeria is the most populous country in Africa and one of the most populous countries in the world. The implication of that to Nigerian economy is that the government has to redouble its efforts to sustain the inflow of Foreign Direct Investment (FDI) into the country. The poverty issue in Nigeria is caused by issues like High population growth, corruption and political unrest. Nigeria's large population and historic ethnic instability is a core feature of the Nigeria we see today. Countries with large population like China has successfully reduced the growth of it's population. This allows for resource availabity. The lack of a stringent regulatory and monitoring system has also allowed for rampant corruption in Nigeria today. Resources which could pay for public goods or directed towards investment are being misappropriated. The anticrime agencies instead of hitting the nail on the head are being utilised to fiight opposition in Government. To clear the name which is undeniably earned by Nigeria, the government should endeavour to pen down effective policies and implement them rather than promising sky scrapers which would shame their ages.